It’s expected to be one of the year’s top games, but until this point little is known of Jedi: Fallen Order, the next Star Wars game to be released by Electronic Arts after it signed an exclusive publishing deal with Disney back in 2013. Thankfully, developer Respawn (the people behind the game) will be letting the cat out of the bag this weekend, as a worldwide reveal of Jedi: Fallen Order will be taking place in Chicago this Saturday. 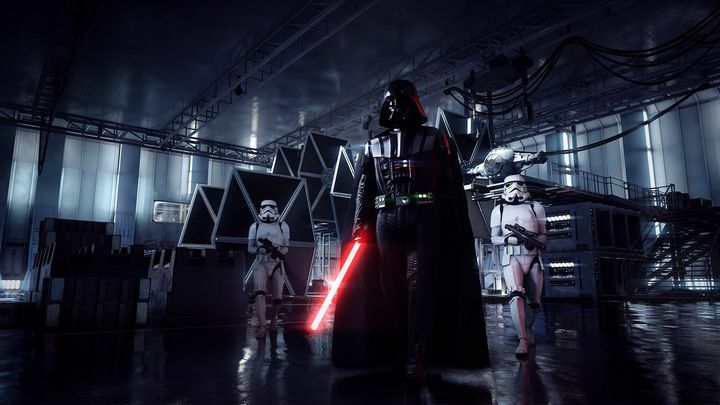 And to tease Star Wars fans before the weekend’s reveal, EA released a short teaser on its Twitter account (via Forbes). Sadly, this doesn’t reveal much about the game, but surely is enough to whet players’ appetites before the big reveal takes place this Saturday. Also, the fact this image shows a destroyed lightsabre makes sense taking into account that the game is set right after George Lucas’ Revenge of the Sith film, when the Jedi Order is being ruthlessly hunted down by Darth Vader and his cohorts (this is what the “Fallen Order” part of the title refers to). And presumably the “Don’t Stand Out” line has to do with the fact that the last remaining members of the Jedi Order have gone into hiding, and don’t want to make their presence known… This includes the game’s protagonist, whom you’ll control in a story-based game that’s quite a departure from what developer Respawn Entertainment has been doing as of late. You see, the US developer is known worldwide right now for its Apex Legends game, a multiplayer online shooter game which is the only real challenger to Epic’s world-conquering Fortnite at this time. Of course, Apex Legends is a strictly multiplayer game with no single player component, so it will be interesting to see how well Respawn can deliver a single player-only, story-driven action and adventure game like Star Wars Jedi: Fallen Order is. Aside from Respawn’s game, EA also put out Star Wars Battlefront, a good multiplayer Star Wars shooter, and its sequel Star Wars Battlefront II, which also focused on online multiplayer but brought a decent campaign to the fold, even if it was reviled before launch due to its “pay to win” microtransactions. But while both Star Wars Battlefront game provided a good slice of gaming, it’s clear fans will be expecting something special from Respawn’s upcoming Star Wars Jedi: Fallen Order. Time will tell, though, whether this upcoming Star Wars game will be a success or not, but at least soon people will get to see the first trailers and gameplay of what could be one of this year’s top games for sure.